Jose E. Tovar, 72, a resident of Round Lake Beach, passed away May 26, 2016 at his home. He was born July 2, 1943 in Mexico. A visitation is scheduled for Wednesday June 1, 2016 from 4:00pm until 8:00pm at Strang Funeral Chapel & Crematorium 410 E. Belvidere Rd. Grayslake, IL 60030. A funeral mass is scheduled for Thursday, June 2, 2016 at 10:30am at St. Joseph Catholic Church 114 N. Lincoln Ave. Round Lake, IL 60073. Interment will follow at Avon Centre Cemetery in Grayslake, IL. For more information please contact (847)223-8122 or log onto www.strangfuneral.org. Jeremy M. Fitzgerald, 76, a resident of Lake Villa, passed away May 24, 2016. He was born January 27, 1940 in Sri Lanka, to Patrick and Patricia Fitzgerald. Jeremy is survived by his wife of 39 years, Jeanne, his brothers Tim Usher and Patrick Fitzgerald, his sisters Penny Broadhurst and Geraldine Fitzgerald, and numerous cousins, nieces, and nephews. He was preceded in death by his sister Susan and his mother, father, and stepfather. A memorial service is pending and will be held at St. Andrews Episcopal Church 31 Park Ave. Grayslake, IL. In lieu of flowers, memorials may be given to Save-A-Pet. For information, call 847-223-8122 or visit www.strangfuneral.org. Violet “Vi” Janelle Gipson, 85, passed away on Friday, May 20, 2016, with family by her side. Violet was born July 21, 1930 in Lemmon, South Dakota to Walter Rook and Viola Smith Rook. 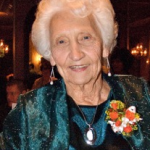 She graduated from Libertyville High School in 1948. Violet worked as a dispatcher and retired from Ritzenthaler Bus Lines in Mundelein. Violet is survived by her children Larry Gipson (Deborah McGregor) of Fox Lake, IL, Janis (Mike) Culat of Trevor, WI, Susan (Larry) Sancken of Mundelein, IL, Debra (William) Kautz of Ingleside, IL, Cheryl (Jack) Bowes of Grayslake, IL, and Vicky (Glen) Stevens of Trevor, WI. She is also survived by her grandchildren Michael, Jennifer, Scott, and Kristen Krueger; Gregory, Douglas Gipson, Jodi Rosebach; Joe Murray; James Sancken, Jacquie Ochs; Kelly Jo McGinley, Michelle Kautz; Brian Miller, John (Jack) Bowes III, Brooke Bowes; Shauna Thayer and Kristy Barlass. In addition, she is survived by great-grandchildren; Rita Krueger; Tori, Wiley and Ryan Krueger; Mathew and Casey Gipson; Weston and Madison Donnelly; Travis, McKenzie and Tyler Sancken; Rylee, Sydnie and Justin Ochs; Cora and Harper McGinley; Zoe and Reese Miller; Brady and Ashton Thayer; and Sophia and Blake Barlass. She was predeceased in death by her husband, Joe E. Gipson; her parents, Walter Rook and Viola Smith Rook; her brother Clifford Rook; and sisters Hazel Rook Knuth and Lois Rook Shelter. Violet enjoyed square dancing, bowling, crafts, music, reading, sewing and horses. She will be always remembered as a loving mother, grandmother and aunt whose greatest passion in life was her family. There was nothing that gave her more pleasure than having her family together. The strength, beauty and unconditional love that she possessed will live on through those who knew and loved her. A celebration of her life will be held on Thursday, May 26, 2016 at Strang Funeral Chapel, 410 E. Belvidere Road, Grayslake, IL. 60030 from 10AM to 12PM. The funeral service will commence at 12PM . Interment will follow at Willow Lawn Cemetery, 24090 N Highway 45, Vernon Hills, IL. 60061 Anyone wishing to send a memorial in Violet’s name may do so to the Ronald McDonald house Charities of Madison, 2716 Marshall Court, Madison, WI 53705 or www.rmhcmadison.org. For information, please call 847-223-8122 or log on to www.strangfuneral.org. Barry “Pepa” Flammini, 84 of Grayslake, Illinois, passed away on Saturday, May 21, 2016 at his home. Barry was retired from The Chicago Plumbers Union Local 130. He loved the Chicago Blackhawks and being with his family. He is the son of the late Francisco and Maria (nee Lanciones) Flammini. Survivors include his children Frank (Donna) Flammini of Zion, IL, Theresa (William) Lichon of Third Lake, IL and Catherine (Daniel) Cunningham of Chicago, IL, his 15 grandchildren, and 12 great-grandchildren, and his brother Frank Flammini of Wisconsin Rapids. He is preceeded in death by his wife Joan of 54 years, his son Barry Jr. and his sisters Filomena, Baldina, Elvira and Genevieve and his brother Alfred. The funeral service will be at St Paul the Apostle Church, Gurnee, IL on Wednesday, May 25, 2016 commencing at 10 AM. The visitation is Tuesday, May 24, 2016 at Strang Funeral Chapel, 410 E. Belvidere Road, Grayslake, IL from 5 PM to 9PM. Interment will be private. Donations to St Jude’s Children’s Hospital would be appreciated. For information, please call 847-223-8122 or log on to www.strangfuneral.org. Robert A. Hopton, 90, longtime Grayslake resident passed at his Florida home February 4th, 2016. Beloved father of Bob (Birgit) Hopton, Mike Hopton, Dave (Nancy) Hopton, Kathy (Joav) Kohn, and Scott Hopton. Grandfather of Melissa, Robert, Jess, Tony, Shannon, Lauren, Nicole, Ava, and Leo. Great-grandfather of Riley, Reid, Dayton, Jacob, Logan, Sofia, and Tristan. He was preceded in death by his wife of 65 years, Faye Jones Hopton. He was a U.S. Navy veteran of WWII, and also served his family and community in many ways. Funeral services for both Robert and Faye Hopton will take place at the Avon Cemetery, Monday, May 30th at 1:30pm. Following, a celebration of their lives will occur at the Vine in Grayslake from 2:30 until 6:30pm. All are welcome. Rebecca R. Nielsen, age 84, of Grayslake, IL, died on May 14, 2016. Mrs. Nielsen was a long time resident of Grayslake, Glenview, and Chicago. Becky was born in Fowlkes, TN, to Carrie Lee and Eddie Elmer Roach, Sr. who preceded her in death. She was also preceded in death by her husband Elmer Nielsen, sister Christine Henning, brother Eddie Elmer Roach, Jr., and brothers-in-law Earl Nielsen and Carl Nielsen. She is survived by her sister Mary Lynn Brooks of Montgomery, AL, brothers-in-law Walter Henning of Memphis, TN, and George Nielsen of Harvard, MA. In addition, Becky is survived by her nieces Carrie Ann (Don) Akey of Memphis, TN, Sandra (Don) Rice of Memphis, TN, and nephew Phillip (Frankie) Henning of Arlington, TN, six children, many grandchildren, great-grandchildren, great-nieces, and great-nephews. Becky worked for Dr. George Lemire and Dr. Edward Lemire in Chicago for more than 40 years. After retirement she worked at the Lakehurst Mall, Catholic Charities, ushered at the College of Lake County, and volunteered at the Grayslake Thrift Shop. Becky traveled extensively, loved to garden and to entertain for and with her friends. Plus, she was a die hard Cubs fan. A celebration of Becky’s life will be held on June 11, 2016 at noon at the Fishing Pier Shelter in Central Park in Grayslake. Please come and share your stories of this remarkable lady who never lost her southern charm. Memorials can be sent to Becky’s church, The Chapel 25270 W. IL Rt 60, Grayslake, IL 60030. Arrangements were entrusted to Strang Funeral Chapel & Crematorium, 410 East Belvidere Road, Grayslake, IL 60030. For information, call 847-223-8122 or go to www.strangfuneral.org. Andrew “Andy” C. Driggers, 28, a resident of Round Lake Beach, passed away Monday, May 16, 2016. He was born August 6, 1987 in Chicago to Bernard and Carol Driggers. Andy attended Round Lake High School and worked for Rosatti’s Pizza in Gurnee. He was a loving son, brother, grandson, and uncle. Andy is survived by his mother Carol (Norman) Dixon, his grandparents Elsie and Carl Justus and Alese Griffith, his sisters Tiffany Driggers, Shelby Dixon, Sara Dixon, and Maycee Jewel, his nieces Jaelynn, Saydee, and Baylee, his nephew Benjamin, and his dog Bark Lee. He was preceded in death by his father Bernard, his grandpa Charles Driggers, and his step-grandpa Gordon Griffith. A visitation is scheduled for Saturday, May 21, 2016 from 3:00pm until 7:00pm with a funeral service commencing at 7:00pm at Strang Funeral Chapel & Crematorium, 410 East Belvidere Road, Grayslake, IL 60030. For information, call 847-223-8122 or go to www.strangfuneral.org. Mary C. Reid, nee: Nee, 81, the wife of the late James (Knappabeg, Westport), daughter of Martin and Nora Nee (Rosmuc, Conamara); mother of Colleen (Daniel) Vela, Patrick and Kathy (Scott) Hampton; grandmother of Cory (Liz) and Tad; sister of Barbara Zacher, John and Michael and the late Nancy and Martin. A memorial mass is scheduled for Saturday, May 21, 2016 at 11:00am at St. Gilbert Catholic Church 301 E. Belvidere Rd. Grayslake, IL 60030. Arrangements were entrusted to Strang Funeral Chapel & Crematorium. For information, call 847-223-8122 or go to www.strangfuneral.org. Justin Thomas Hoffman of Grayslake, Illinois passed away on May 12, 2016. Tom was born on April 15, 1935 to Justin Warren and Agnes Cecelia Hoffman in Menominee, Michigan and moved to the Milwaukee area as a child. After graduating from high school, Tom served in the U.S. Army. During his years of service, he earned a Sharp Shooters medal and spent some time in Germany working in military intelligence. After leaving the military, Tom studied at Marquette University, majoring in accounting. He began his professional career at IBM where he worked for several years before joining Allstate Insurance Company, where he worked for the remainder of his career before retiring as a Senior Director. Tom was a devoted husband to his wife of 57 years, Patricia Ann Hoffman, who preceded him in death. The couple had three children; Kurt, Laurie, and Karl, and one grandaughter, Carley Hoffman, all of whom currently reside in Georgia. He is also survived by his sister Nancy Kramasz of California, his brother Rod of Arizona, sister-in-law Vicky, daughter-in-law Julie, and a number of nephews. He was preceded in death by his brother Dale and his sister Sandra. Throughout his life, Tom persued a number of interests and hobbies, including running and playing in a competitive tennis league as well as watching the Chicago Cubs and Bears play ball. He was a good sports prognosticator and the undefeated champion of the family football pool. He enjoyed reading, history, music, and movies, but his primary passion was flying his 1963 Beachcraft Muskateer. An accomplished pilot, he flew as often as he could, logging nearly 3000 hours of flight time, and relished the freedom and beauty of flight. Tom also loved to tell a good story or a bad joke. His sense of humor, his willingness to listen and to offer heart-felt advice will be deeply missed by all who knew and loved him. A visitation is scheduled for Sunday, May 15, 2016 from 4:00pm until 8:00pm at Strang Funeral Chapel & Crematorium 410 E. Belvidere Rd. Grayslake, IL 60030. A funeral service is scheduled for Monday, May 16, 2016 at 10:30am at the funeral chapel. Interment will follow at Ascension Catholic Cemetery in Libertyville, IL. For more information please log onto www.strangfuneral.org or call (847)223-8122. Dolores “Lolly” C. Manacsa, 84, a resident of Mundelein and formerly of Skokie, passed away Thursday, May 12, 2016, at her home. She was born July 24, 1931 in the Philippines to Alejandro and Felisa Chavez. After earning her degree and beginning her career as an accountant, she married the love of her life Bert and started their family of four children. She went on to make real her dream of moving the family to America to ensure an even brighter future. There, she was the enduring foundation of a clan that spanned four generations, living a life of humility, quiet strength and untiring care for her family. Lolly is survived by her children Odette (Billy) Prudencio, Gilbert “Chaz”, Rosela (Chuck) Simpson, and Gerry (Karina); her grandchildren Khristine (Ian) Anderson, Kevin (Claudia) Prudencio, and Solange Simpson; her great-grandchildren Owen and Kyle; her nieces Grace (Ronnie) Garcia, Loida “Loowee” Manacsa, Myrna (Wilfredo) Peralta, and Tessie (Celestino) Cacao; her nephew Mandy Cuvos; her grand niece Grachelle (Mark) Linton; her great-grand nieces Violet and Avery; her grand nephew Ryan Garcia; her caregivers Beth Aurelio and Susan Villaceran; and her many other nieces, nephews, and their children. Family and friends may visit on Saturday, May 14, and Sunday, May 15, 2016, from 3:00pm until 7:00pm at Strang Funeral Chapel & Crematorium, 410 E. Belvidere Rd., Grayslake, IL 60030. A funeral mass is scheduled for Monday, May 16, 2016 at 11:00am at St. Paul the Apostle, 6401 Gages Lake Rd., Gurnee, IL. Interment will follow at Memorial Park Cemetery, 9900 Gross Point Rd., Skokie, IL. Memorial donations may be made to the Alzheimer’s Association. For information, call 847-223-8122 or log on to www.strangfuneral.org.